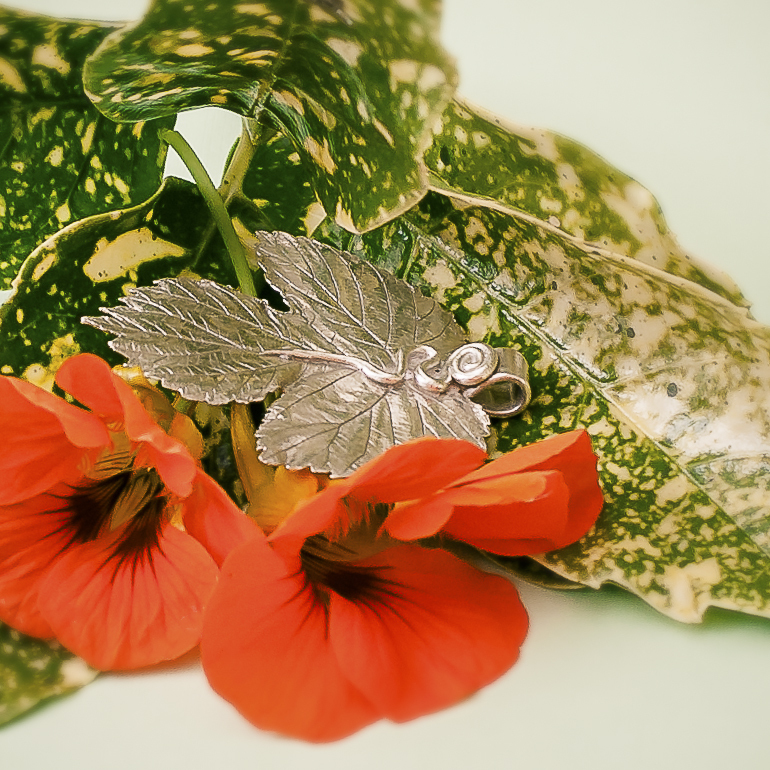 Natural materials – Use a leaf or pod to create a stunning pendant. 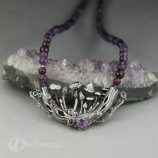 Textured pendant – Includes creating your own moulds and simple gemstone setting. Glass pendant – Learn to set a glass cabochon in PMC and fire allowing for the shrinkage. Toggle clasp – Create a decorated two part clasp. Domed bead – Make a hollow bead using dry construction techniques. 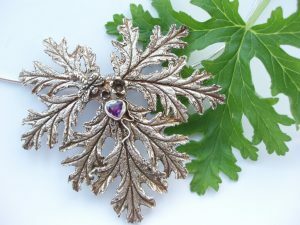 Can also be worn as a pendant. The tuition fee includes all consumables and course notes. 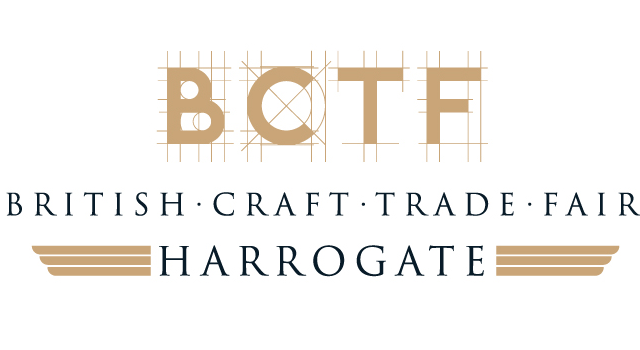 NOTE – This course excludes the cost of materials, which is £135, if you would like to bring your own, you can and I will advise you on what you need to bring. On completion of any module of the PMC Extended Certification, you will be eligible for 10% Discount on PMC purchased from Silver and Stone. This Extended PMC Certification Module 1 is a great opportunity to develop your skills in PMC. It would be helpful if you have done a PMC course before, but I’ll take you through one step at a time, so its not essential. It’s also an opportunity to do something just for you. To have some ‘you’ time, do something creative, challenging and most of all fun! This module uses the natural, clay like properties of PMC and combines them with natural, organic materials such as leaves, twigs and pods. You will create lots of projects and develop a variety of skills. Use a leaf or pod to create a stunning pendant. 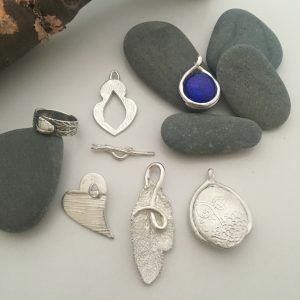 Create a textured pendant, creating your own moulds and simple gemstone setting. 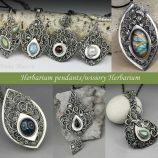 Design and make a glass pendant; learn to set a glass cabochon in PMC and fire allowing for the shrinkage. Make a toggle clasp which you can decorate. Design and make a domed bead. 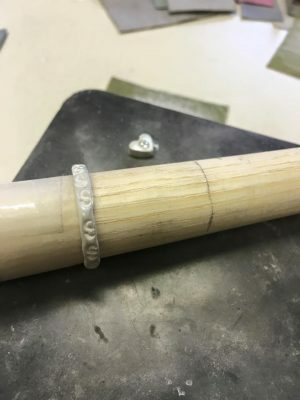 You will make a hollow bead using dry construction techniques which could also be worn as a pendant. That is 6 amazing projects in two days. What better way to spend your time!! Your enthusiasm, creativity and apron. If you have any favourite tools, bring those along and your lunch! You can pay the full course fee now or you can book by installments. This way you can pay a bit each month and complete the Certification Programme by the end of the year or just do module by module. 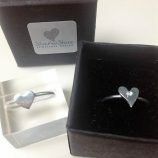 Option 1: Certification only (without silver and consumables) You pay £120 incl vat for 3 months via Paypal. Option 2: Certification including all silver and consumables with no additional costs to pay. You pay £175 per month for 3 months via Paypal. Bookings will only be confirmed on payment of the deposit or first installment. Please contact Helen on 07778782467 to discuss. 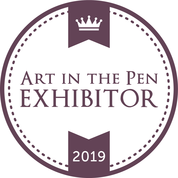 NOTE – This course fee of £360 excludes the cost of materials and consumables, which is £175, if you would like to bring your own, you can and I will advise you on what you need to bring. On successful completion of the course you will receive a PMC certificate, and will be eligible for a 10% discount on PMC purchased through Silver and Stone. This is a great course if you want to increase your skill level and complete 6 projects in 2 days! They are long days but they are really worth it. The composite photo shows one of our students work on the course. 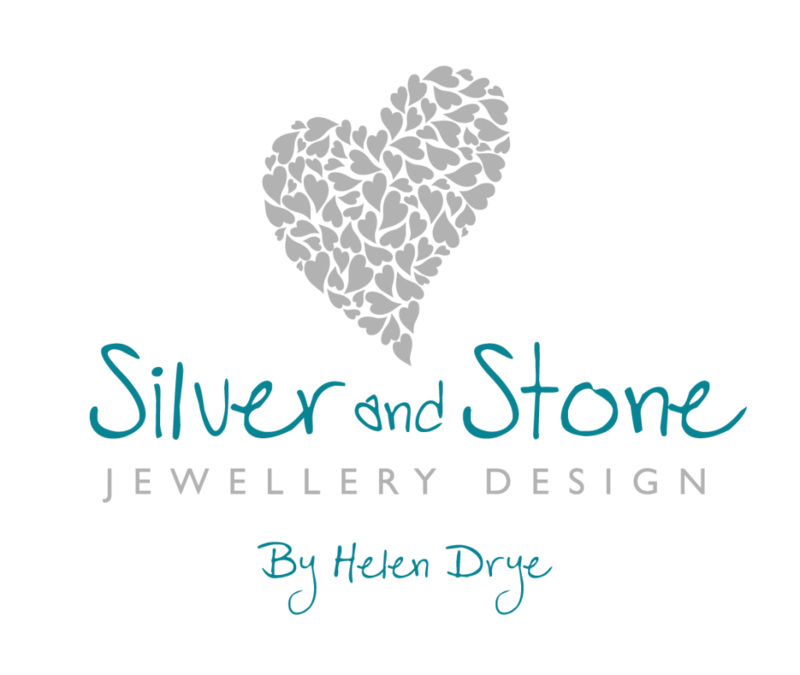 Helen Drye runs Silver and Stone Jewellery Design, the PMC Accredited Training Centre for North Yorkshire. There are 8 centres throughout the UK, only these centres can run the PMC Accredited Programme, which is is supported by PMC manufacturer, Mitsubishi. 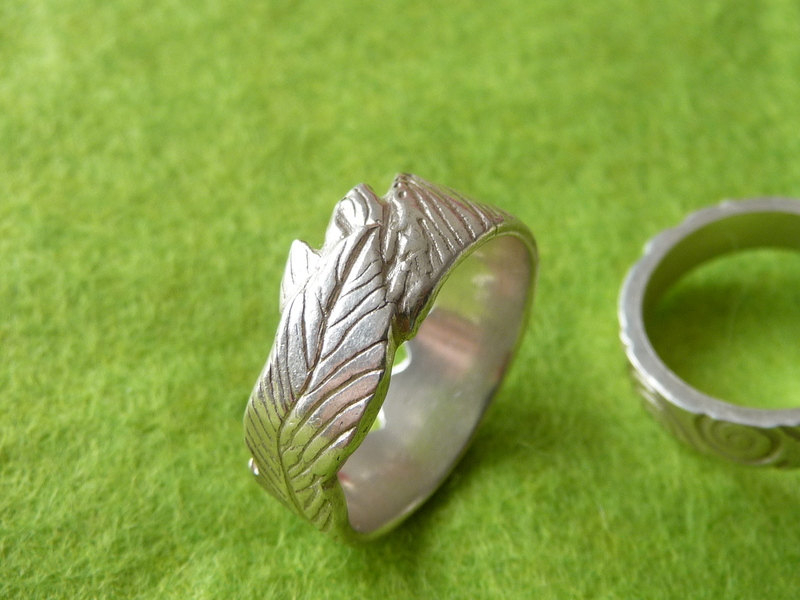 Helen’s studio is based near York, is a wonderful rural location next to Skipwith National Nature Reserve. It’s an ideal location if you’d like to visit historic York, explore the nature reserve and create beautiful jewellery.